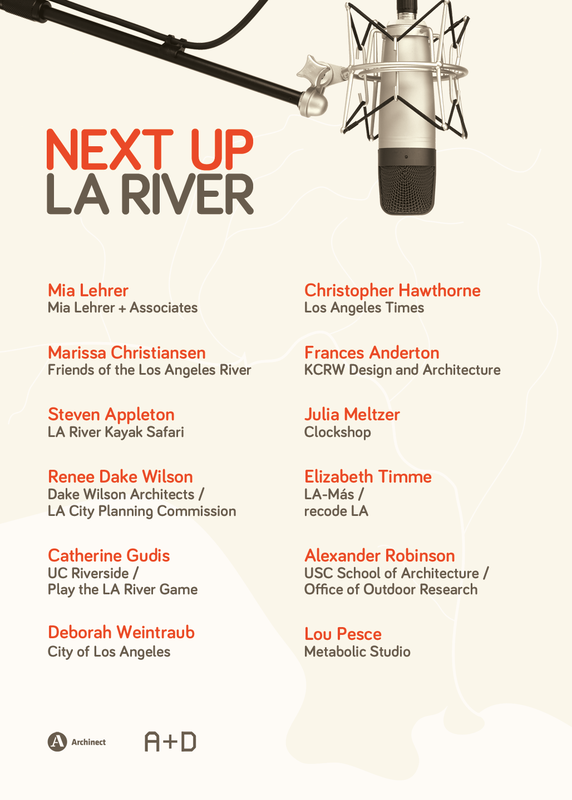 Our penultimate Mini-Session interview from 'Next Up: The LA River' pairs architects Renee Dake Wilson and Alexander Robinson. Dake Wilson, principal at Dake Wilson Architects, was appointed by LA Mayor Eric Garcetti to serve as Vice President on the city's volunteer-based Planning Commission—an array of professionals who make recommendations between communities and the city on planning projects. On the commission, she's worked particularly with proposals to change the height and density limits on development in Elysian Valley, aka Frogtown—the neighborhood along the LA River that has become a major node in the city's ongoing gentrification discussion.